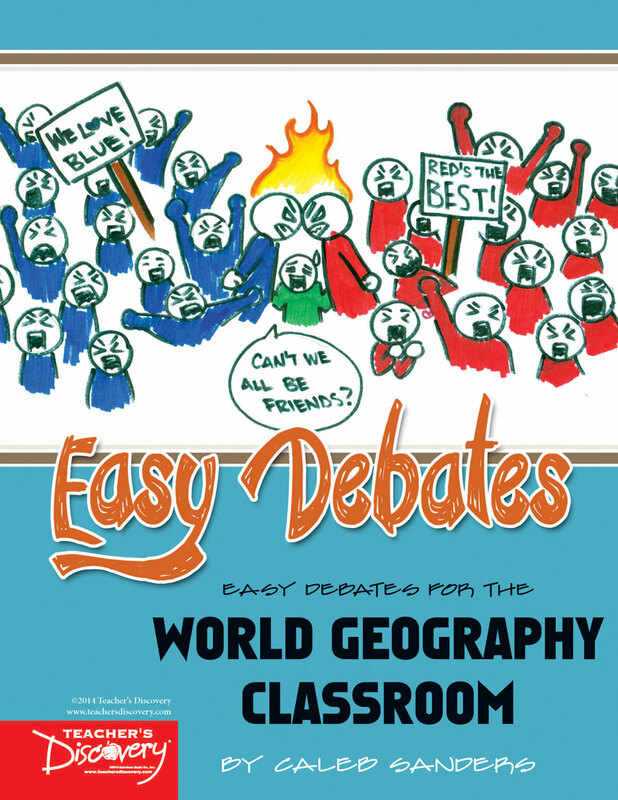 There’s nothing like introducing an argument to get students involved with the topics you’re teaching. 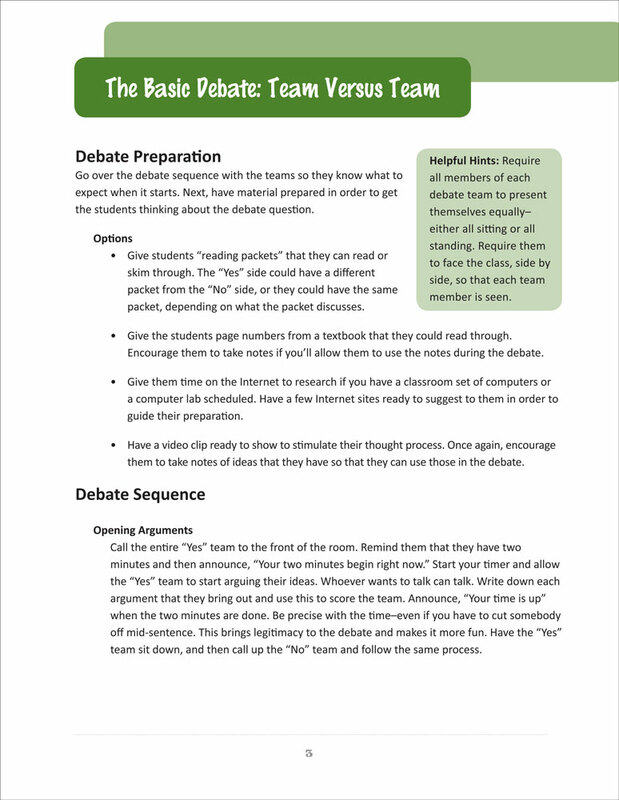 Framing these subjects in a debate format helps them get invested and form a passion for research and learning outside the classroom. 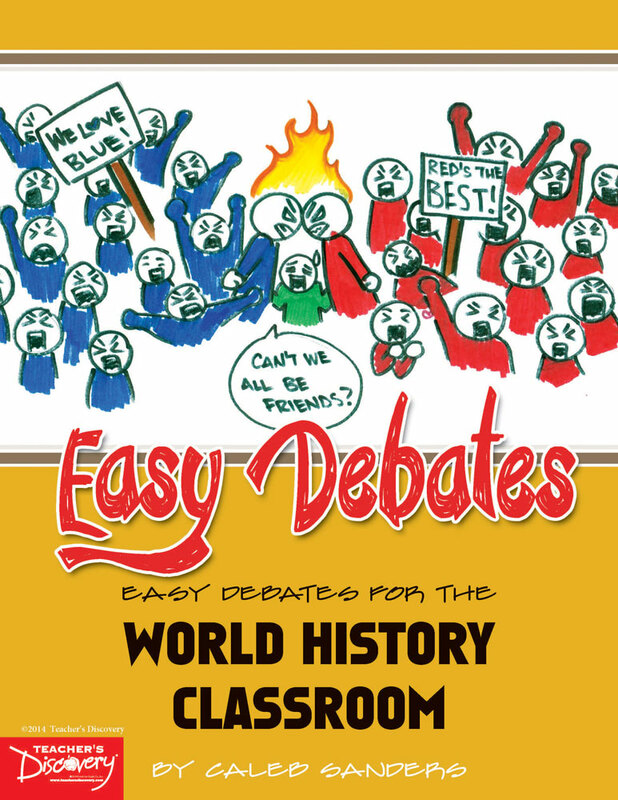 The debate format in this book gets the whole class involved in the discussion in a fun and challenging way—way better than a lecture! 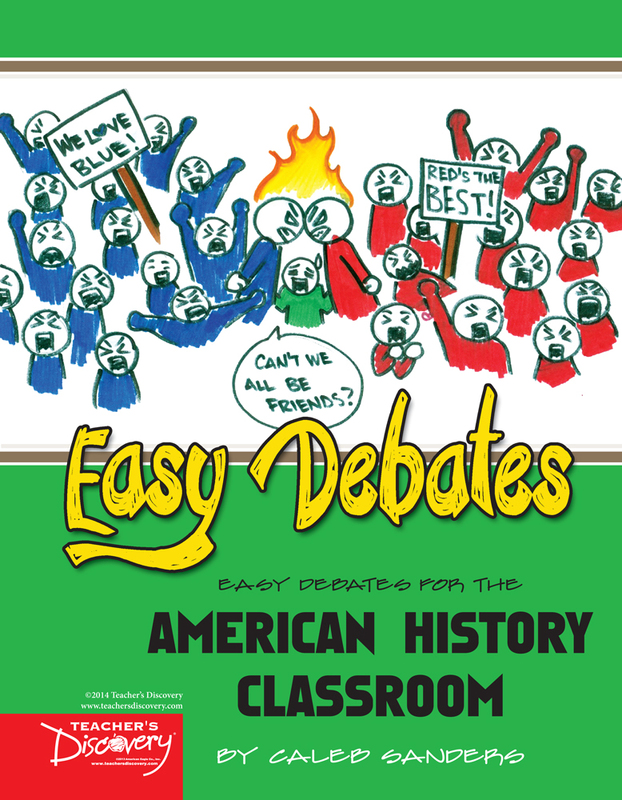 These debates are all high school appropriate, and will help you stimulate discussions and improve the involvement of your students. 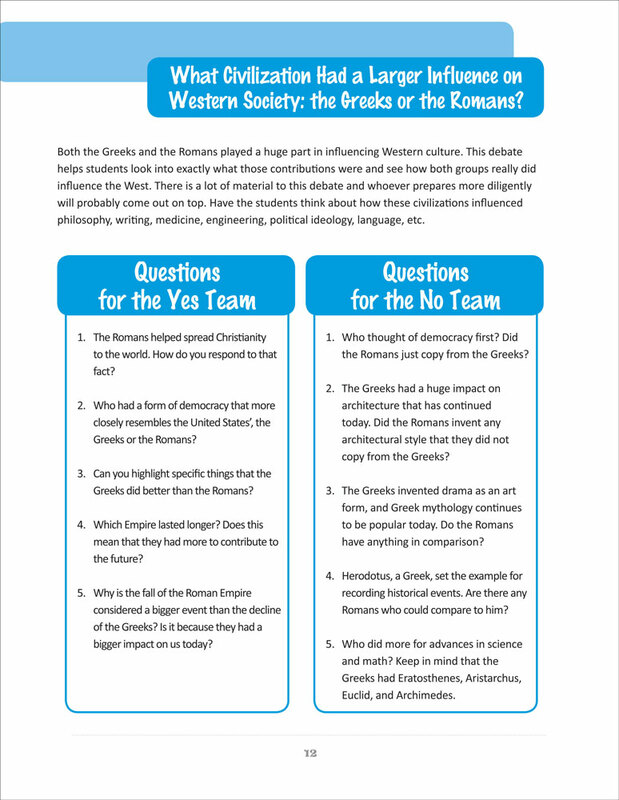 Topics range across subjects such as: the famous explorers, religion, Greek and Roman empires, and much more. 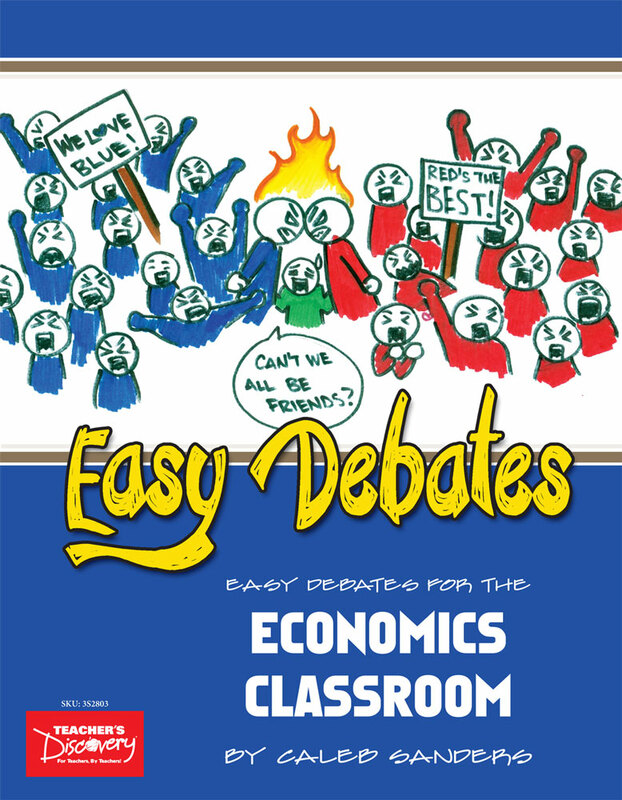 Of course, debates are not limited to the topics in this book—once you have the format down, you can create your own debate subjects! 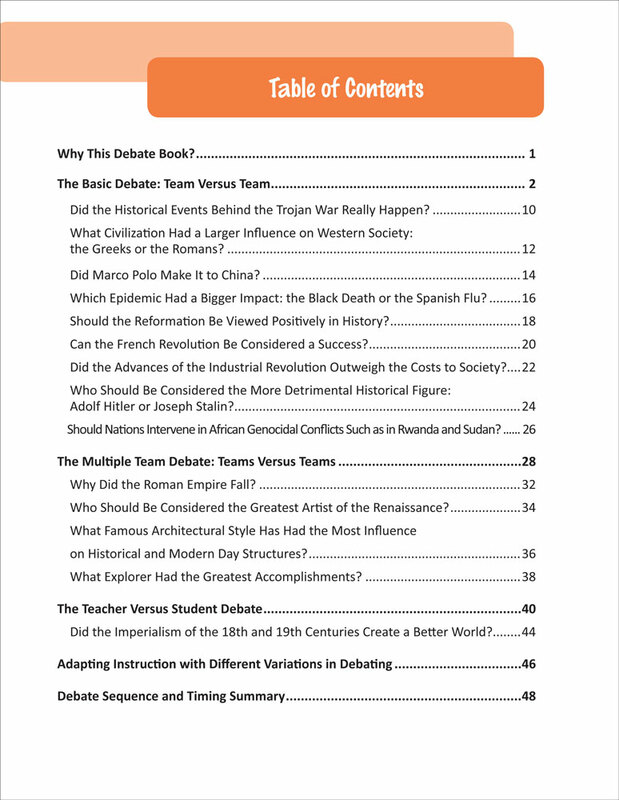 Enclosed you will find ready-to-use debate lessons for your students, as well as different debating styles, a scoring rubric, and ideas on how to expand and extend each debate. 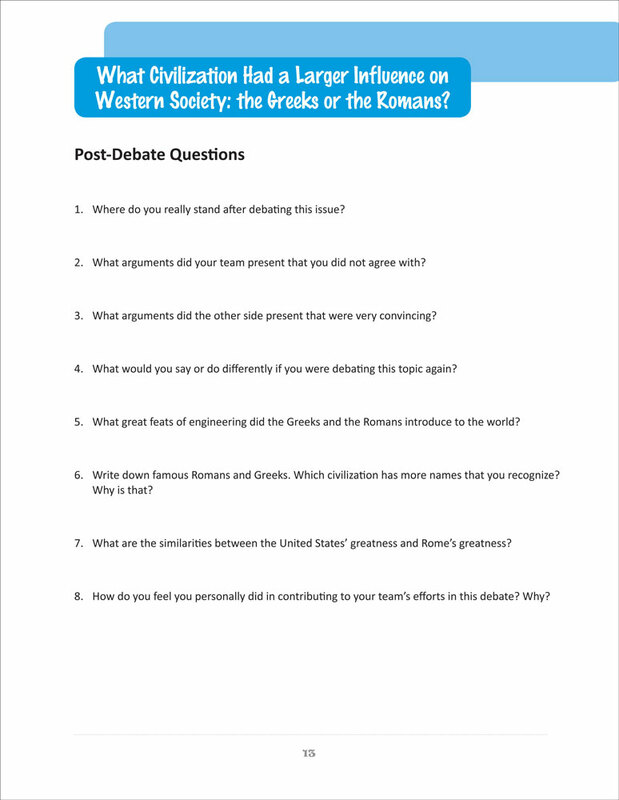 Follow-up questions are also included for each topic, to ensure that each student truly comes away from the debate with a well-rounded knowledge of the subject. ©2014. High school. Reproducible. 49 pages. Print Book: Spiral-bound. 8 x 11 inches. Caleb Sanders has spent his time in education as a Social Studies teacher at the high school level for the last 16 years. 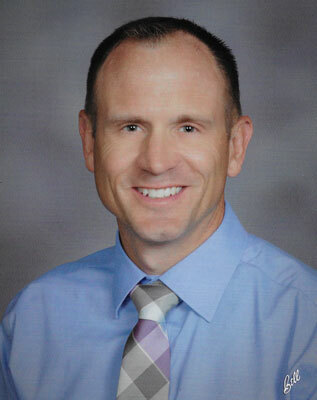 He was recognized as one of the Arch Coal Teacher Achievement Award recipients in the state of Wyoming in 2015, and has been recognized as Teacher of the Year by his district. 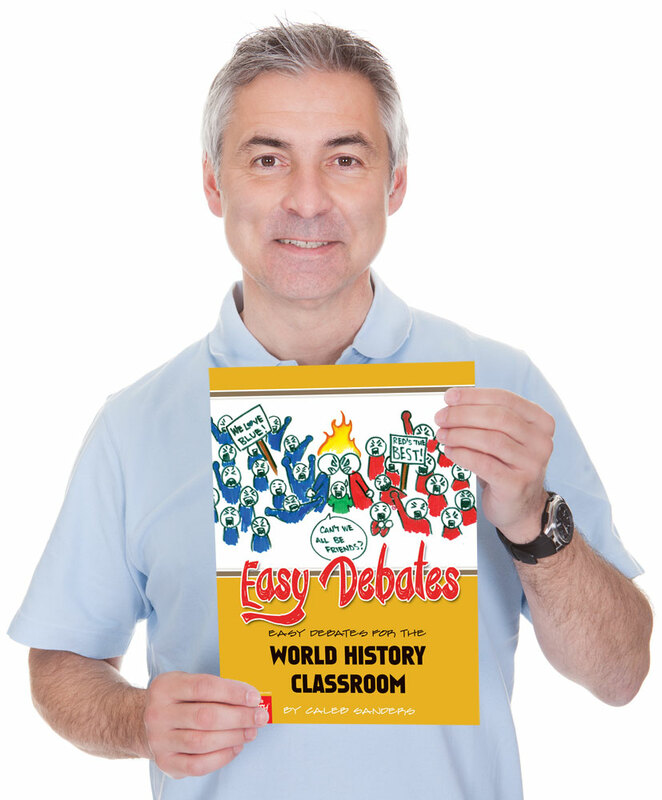 Caleb is the author of the Teacher’s Discovery® Easy Debates series and the SHOW ME Challenges and Clues series, as well as Creating Easy Mock Trials for Your Social Studies Classroom. He has created a steady stream of mock trials, debates, simulations, and other activities that he frequently uses in his classroom to engage students in lively learning. Caleb is married to Lexi Sanders, and they have three children. He loves astronomy, board games, puzzles, and collecting children’s books. His identical twin brother is his department chair at the same high school, which results in plenty of fun confusion!